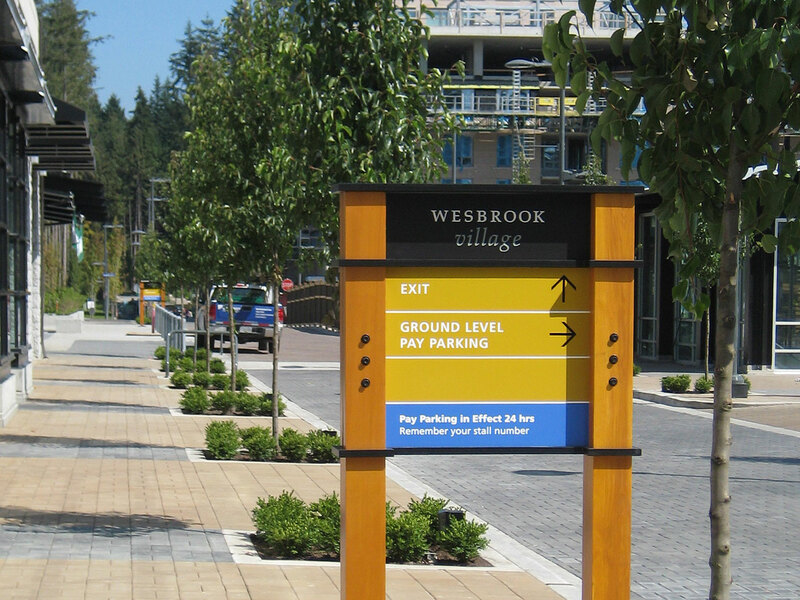 Wesbrook Village is the mixed-use Town Centre component of Wesbrook Place, the latest neighbourhood at UBC Vancouver. It includes a retail area of 20,000 sf, a community centre and school, an extensive complex of green streets and parks, and up to 1,989 new residential units. 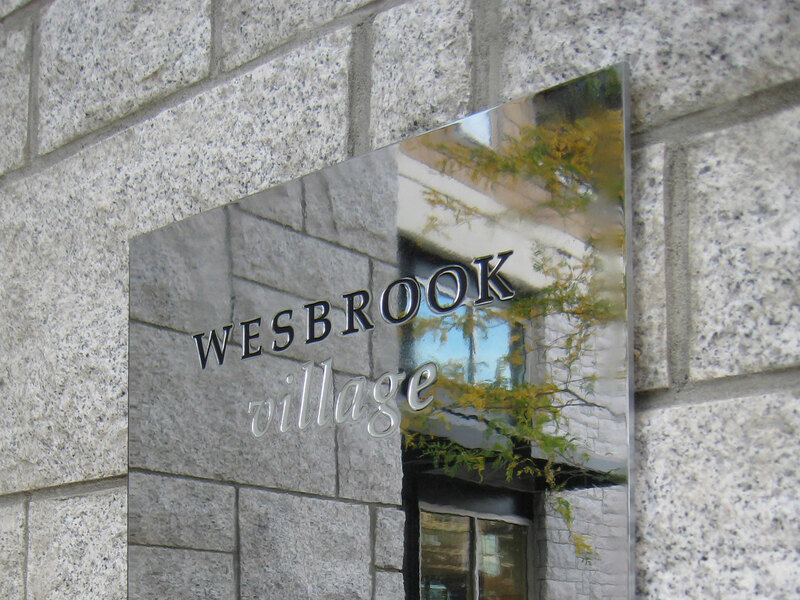 Letterbox was retained to create a brand identity for this new neighbourhood, and to apply that brand to a comprehensive signage program that met all of the needs of the Village. 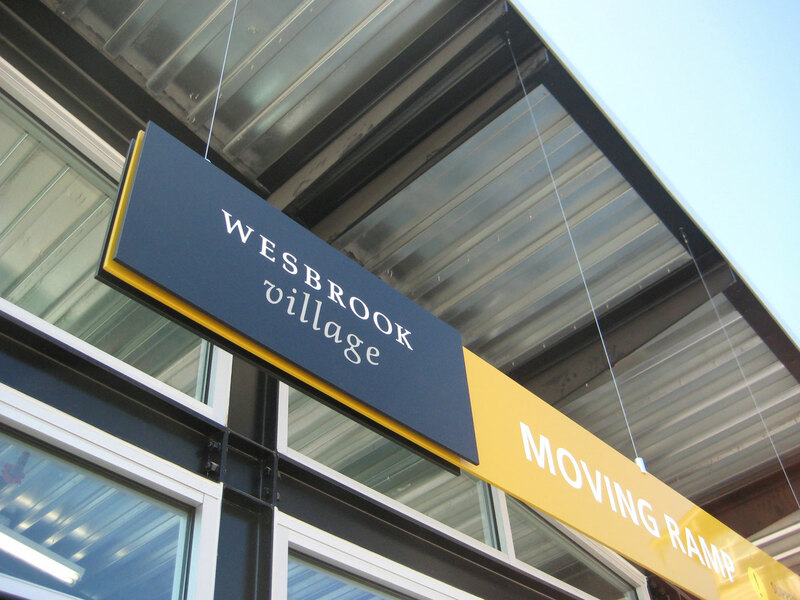 The signage had to convey a distinct Sense of Place and personality, while also educating new residents and visitors about the services and spaces here. Wayfinding and information systems were particularly important as this is a new community that visitors might initially be unfamiliar with. Much attention was paid to the materials and finishes for this system. 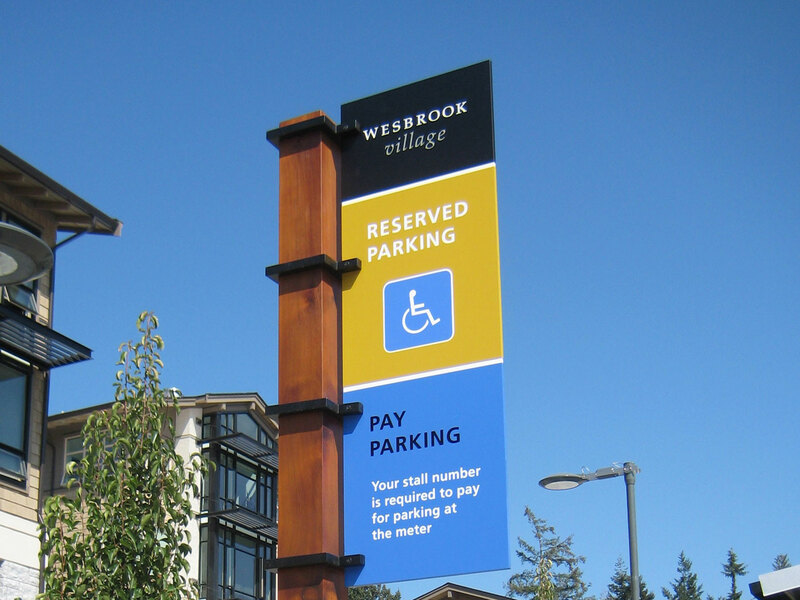 As this is a REAP Gold community, materials were chosen with a sensitivity to longevity and environmental impact, and the entire life cycle of the signage was considered.